Professionals with decades of experience working in the field, Brendtro, Mitchell, and McCall set out to demonstrate how combining brain research, human values and practice expertise can lead to success with at-risk youth. Much has been written about educating and working with challenging children, but what’s often missing from those theories are what youth think and how they feel. The goal of this book is to provide a roadmap to powerful educational and treatment strategies that enable youth to transform their troubled lives. 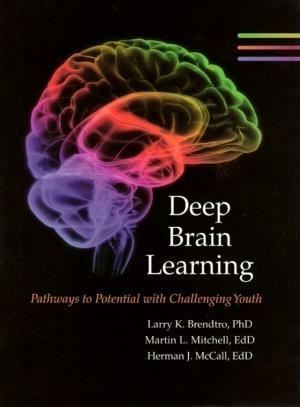 Deep Brain Learning uses the voices of youth, case studies and insights gained over decades in the field, to create powerful principles for success with youth.